Call (423) 805–4599 or book online with OpenTable. Reservations recommended for parties of 4 or more. Your local pub all grown up. We’ve taken the gastropub concept that started in England and made it ours. Ordinary pub fare gets redefined with tasteful menu items like Pastrami Salmon BLT and Bison Meatloaf. 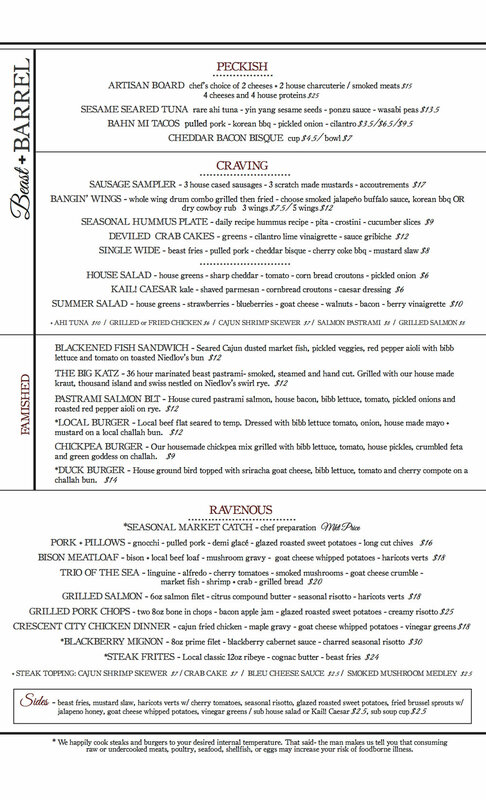 Weekly food specials range from approachable snacks and sides to chef prepared entrees. 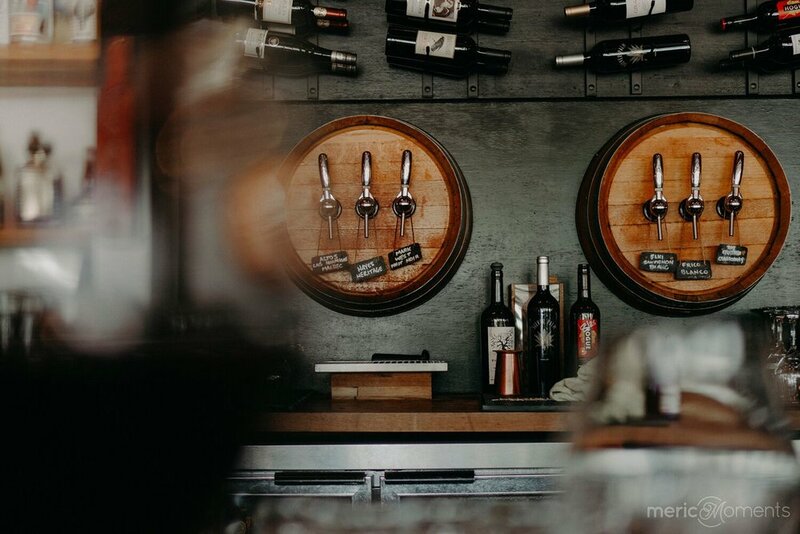 Our drink selection pleases beer drinkers, wine snobs, and cocktail connoisseurs alike. 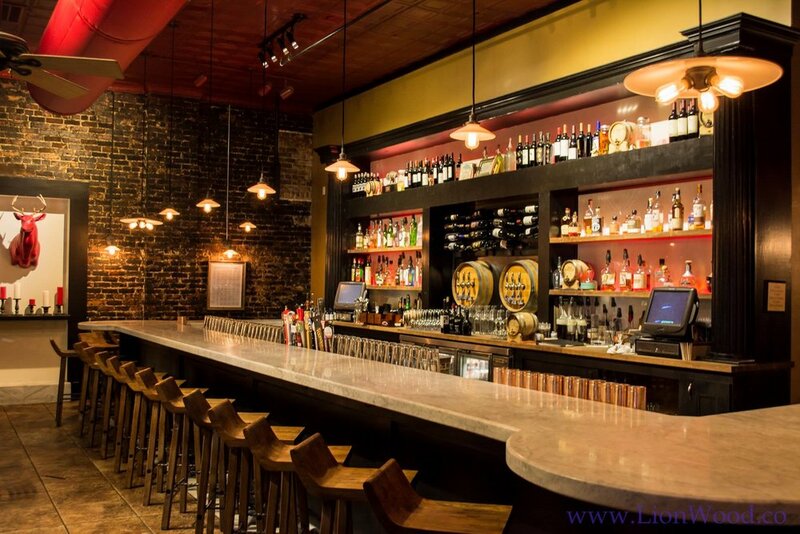 We feature cleverly crafted cocktails, only Tennessee brewed draught beers and 6 wines on tap. 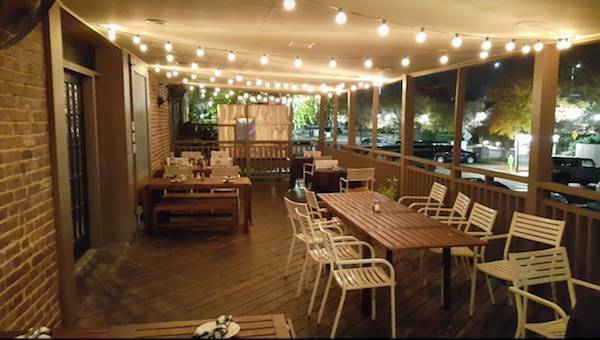 Located on Chattanooga’s Northshore with a relaxed yet classy vibe, B+B is great for just about any time you want good food and drinks. 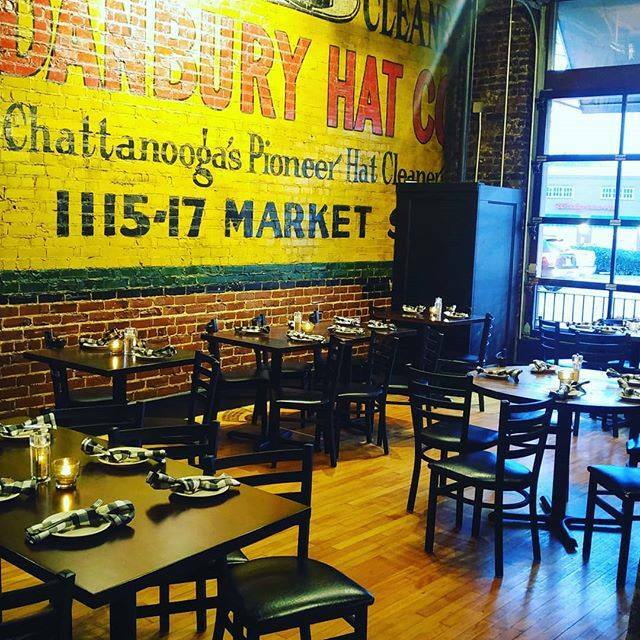 So come in for the most happening happy hour in Chattanooga, stay for dinner or check us out for brunch. 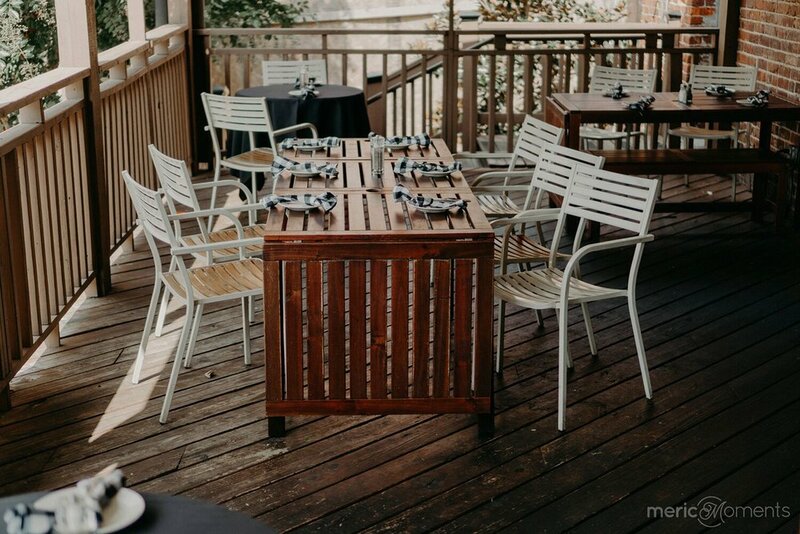 We have plenty of outdoor seating on our patio facing Coolidge Park or you can take in all the action on Frazier Ave. from our floor to ceiling garage doors in the bar area. Get nostalgic in the “Hat Room” or for a more intimate setting enjoy our large velvet booths. Interested in hosting an event for your group? We’re great at that. Give us a call and we’ll help you make your event just right. Make your evening special with Dinner and a Show! We’ve partnered with the Chattanooga Theatre Center to provide you with a tasty dinner and a great production, all conveniently located on the Northshore. Just call the CTC box office (423) 267-8534 (at least 48 hours in advance) to make one reservation for both events: dinner and a show. Reservation will be at 6:15 PM for an 8 o’clock curtain and a 5:15 for a 7 o’clock curtain.